All emails sent to ecumenicalwomen@gmail.com will be answered in a timely manner. You can also contact Lynnaia Main and Ryan Smith, Co-Chairs of Ecumenical Women respectively at lmain@episcopalchurch.org and ryan.smith@pcusa.org. Thanks so much, and we hope to hear from you! 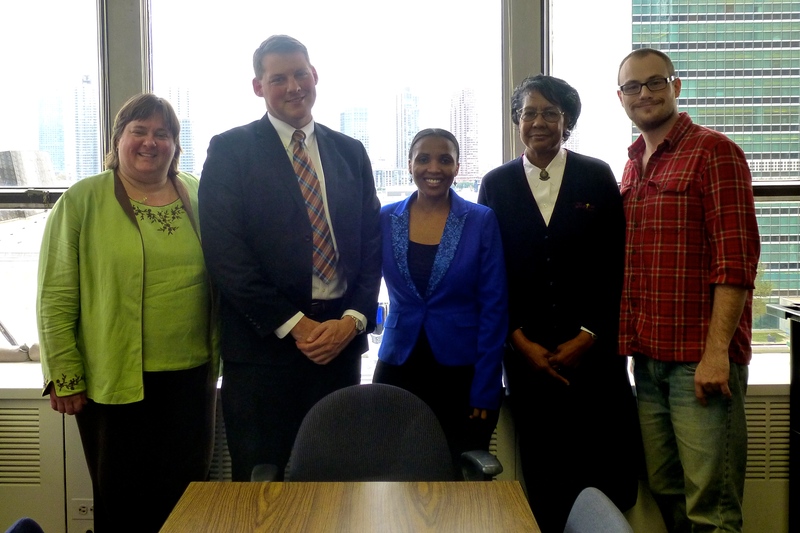 Our 2013-2014 leadership team: Lynnaia Main, Co-chair; Ryan Smith, Co-chair; Christine Mangale, Treasurer; Victoria Edmonds, Secretary; Dustin Wright, Communications Coordinator.